What a crazy week. I feel like I’m playing catch up and I’m not sure why. I think.. well, I know it’s mostly because I am a professional procrastinator. I would much rather watch youtube videos and pin delicious recipes than do adult things. Who’s with me on that? I got my mama’s birthday cake made. It’s pretty awesome that all my cakes that I make for people come with a slice pre-cut. Food blogger problems, I know. Regardless, it’s still tasty and people (mom and dad) still enjoy the cake. 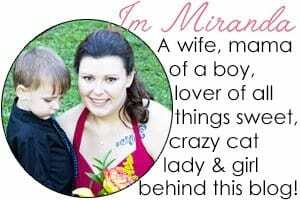 Can you help me reach my goal for links in our link up this week? I’m hoping to hit 20 entries! Tell the world that they need to link up! Now, onto that featured post. I’m featuring last week’s most clicked recipe! 1. 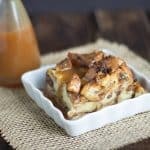 Only post recipes from the current week (10/6 – 10/12) and the posts have to be yours. It can be how ever many that you posted in the current week. 2. 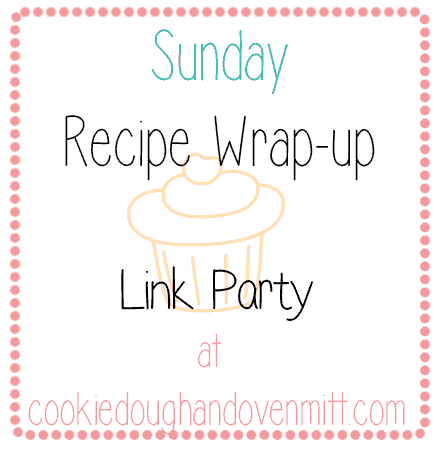 Add a link or button on your blog that leads back to Sunday’s Recipe Wrap-up or spread the word on social media. Also, head over and check out the Sunday’s Recipe Wrap-up Link Party board on Pinterest! I pin all our links. Thank you for stopping by! I’m so happy to have you!